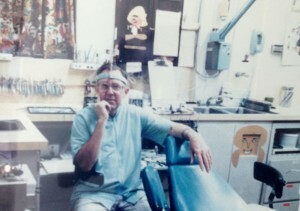 Fun Fact: Dr. Tim’s dad was Lee County’s very first pediatric dentist. That’s how Dr. Tim Verwest ended up in Fort Myers, where he made the decision to follow in his father’s footsteps by earning his D.M.D from the University of Florida. Prior to starting his own practice in 1992, Dr. Tim was the Chief Resident in Pediatric Dentistry at the University of Florida in Gainesville. He has also served as the Director of the Dental Surgery section for Lee Memorial Hospital. His professional affiliations include The American Academy of Pediatric Dentistry, the American Dental Association, Florida Dental Association, West Coast Dental Association, the Florida Academy of Pediatric Dentistry, and the Lee County Dental Association. He is often a guest lecturer for various organizations and has college courses on dentistry. He is a board certified Diplomat of the National Board of Pediatric Dentistry – with professional interests in the areas of pediatric pharmacology, biomaterials, and pediatric anesthesia. He believes in lifelong learning and continues his education by taking courses in pediatric sedation, pediatric oncology, sealants, prosthetics, pediatric cosmetic dentistry, pediatric materials, childhood growth and development, and more. Growing up in Southwest Florida, his other interests include boating and spending time with his wife, kids, and dogs. Dr. Tim has numerous awards to his credit including, 2015, 2016 & 2017 Ft. Myers News-Press Readers Poll for Best Pediatric Dentist of Southwest Florida. 2016, 2017, 2018 Spectrum Award of Excellence in Customer Satisfaction. 2015, 2016, 2017 & 2018 National Consumer Advisory Board to America’s Best Dentist. 2015, 2016, 2017, 2018 Consumer Research Council of America’s Guide to America’s Top Dentists. 2015 Best Dentist by Opencare. "My daughter and I enjoy coming here. The staff is great and she loves the Doctor. Great Job! Keep it up!"